If it is not for an emergency vehicle, most buyers don’t consider the LED light bar color because, in most cases, it is white. However, there are many degrees of the color white in the LED light CRI (or color rendering index), and each one can be crucial to the different settings the lighting system has. Each white coloring is measured in Kelvin (K) and will range from 1 to 100. The lower the quality of light, the less the colors of an object will render. Like other products, no two light bars are the same. Each option contains unique features, which will help you to choose the lighting system for you. For example, are you looking for specific flashing patterns? Is there a particular color requirement you need? Before rushing into your purchase, think about how you will use your LED light bar, and analyze the different features available to you. Remember, the features it has can make a big difference in how you can use the light bar on your vehicle. An essential consideration when purchasing a truck LED light bar is the amount of glare it will produce. Unlike other options, LED lights provide intense light. To prevent temporary blindness, it is crucial to limit the amount of glare the lights create. In many situations, the lighting options come with some form of glare control using a reflector system to prevent a loss of energy savings. Like many other products, quality should be an essential factor in determining your choice in a truck LED light bar. While price is something to consider when working with a budget, the quality of the product you choose will determine the durability and reliability of your lighting, guaranteeing your lights will be functional and visible when you need them. When choosing an LED light bar, you should always do your research. The reputation of a product is essential, especially when purchasing a product for emergency situations. After all, when an emergency happens, you need to guarantee your equipment will not only work but work as directed. To ensure this, you need to make sure you are buying a reliable product from a trusted source. You can find this information by doing research both online and through your seller. 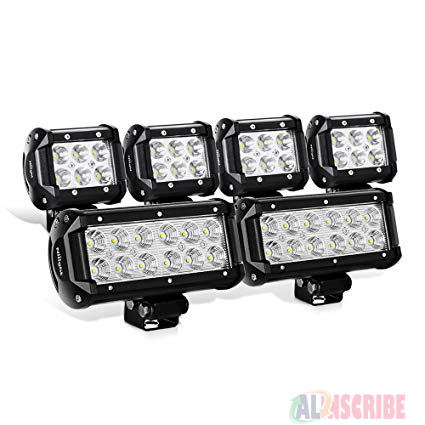 Look for product reviews from dependable sources, and/or talk to different LED light bar sellers for their opinions. When buying a high-quality light bar, you want to make sure the product you choose works. After all, nothing is more frustrating than installing a product only to have it not work (or break right afterward). To make sure your product works when you need it most, choose an LED light bar with a reputable warranty. 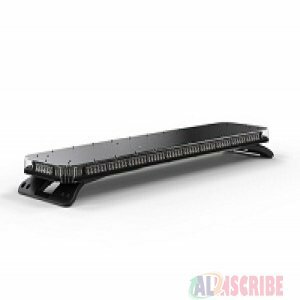 In most situations, a high quality LED light bar product will not need to use the offered warranty, but, if something does happen, you will want to know you can have your light bar fixed or replaced. Plus, an available warranty shows the company stands behind the product they are selling. For more information on what truck LED light bar options will work for your vehicle, call the Ultra Bright Lightz experts at 888-562-5125. Our helpful customer service representatives can answer all of your questions and help you to choose the right product for you. For more information about Dash Lights and Emergency Flashing Lights Please visit: Ultrabrightlightz.